♨ Facebook Live is coming to desktops; ♨ a few Periscope updates for iOS 10; ♨ customer service/support via Twitter; ♨ Instagram stories get tweaks; ♨ YouTube Creator Studio app got better; ♨ more/better advertising opportunities; ♨ Facebook Messenger bots now let you pay; ♨ Twitter's live streaming apps; ♨ nice Outlook.com updates; ♨ sell your old smartphone in a cinch; ♨ ...and more! And I package them neatly in bite-sized chunks in my Weekly Marketing Skinnies right here at Traffic Generation Café (almost) every Saturday morning. The average Facebook user reads about 10% of all the stories in their News Feed. Facebook Live is coming to desktops. Periscope announced a few new features for iOS 10 devices. Twitter added notifications for Periscope live streams. New on Instagram: save the photos and videos you post to your stories to the camera roll by default, plus mute stories. Instagram has also rolled out a new keyword moderation tool to help you filter out comments you find offensive. Best way to manage your YouTube channel on the go: the Creator Studio app. The new social media network, Gab, promises its users almost total freedom of speech. Instagram ads will now be more visible and interactive. You can now add call-to-action buttons to your YouTube video ads. Pinterest advertising made easy with the new Promote button. Facebook Messenger bots can now accept payments. Receiving a Facebook Messenger audio or video call on iOS 10 will feel exactly the same as a normal call. WhatsApp for iOS now lets you use Siri to send messages and make calls. Twitter has launched dedicated livestreaming apps for Apple TV, Amazon Fire TV, and the Xbox One. Outlook.com gets support for Google Drive files, sharing Facebook photos, and finding attachments in past emails. eBay launched a smartphone trade-in site called “Quick Sale”. Fun fact: Uber opened its self-driving pilot program in Pittsburgh to the public. Don’t you hate that nagging feeling that every marketer around you knows something you don’t? Chances are they know it because they are following my updates on social media. Here’s how you can do it as well: follow me on my Facebook profile. Have always found your blog useful to keep updated on all the latest advances with Social Media, Google, and other tools of the trade to help bring visitors to our webpages ! Keep up the great work ! I have a lot of admiration for you. You always seem to know which is the gold and which is the dross. Bruce, Bruce, Bruce… could you POSSIBLY be any sweeter?! THANK YOU. ? ? Good job!  Traffic Generation Cafe always has fresh and high quality ideas to share. Keep on to inspire us!